COLLEGE STATION, Texas -- The Kroger Co. has opened a “Kroger”-branded convenience store in College Station, Texas, the supermarket retailer’s first c-store to bear the chain’s own name, reported KAGS. Kroger also operates several other c-stores in Texas under its Kwik Shop banner. Kroger did not respond to a CSP Daily News request for comment. The College Station location, which features 16 gasoline and diesel pumps and a full complement of convenience merchandise, coffee and fountain beverages, is a freestanding store near a traditional Kroger supermarket but not in that store’s parking lot like its other fuel centers, reported KBTX, which provided a tour of the store. Kroger’s c-stores concentrate on small- to medium-sized towns located near interstate highways, and two-thirds of the stores are located in towns with fewer than 75,000 residents, according to the company’s website. Based in Cincinnati, the company owns approximately 2,780 supermarkets with 1,390 fuel centers under a variety of banners in 35 states and the District of Columbia. 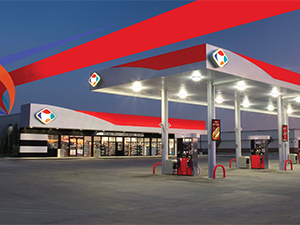 It has approximately 785 convenience stores (about 725 with fuel) under six banners in 19 states: Kwik Shop, Loaf N' Jug, Quik Stop Markets, Tom Thumb Food Stores, Turkey Hill Minit Markets and Smith’s Express.